After a while of being sucked in, we may notice our work has become a little stagnant. Our paintings don’t have the unique perspective as they used to. Our novels don’t have the voice or plot lines we strive for. We pull our heads out of our work to figure out what the crap is going on. And we realize we’ve become so wrapped up in creating perfect scenery we forgot to actually go visit some scenery. Or we tried so hard to perfect that snappy line of dialogue we haven’t entered dialogue with another person in a long time. Our brains need space to play, especially as creative people. We forget to splash in puddles, squish mud between our fingers, listen to the waves crashing, or even try a new flavor of tea. We need to experience life in order to be inspired by it. Without playtime, our creative work can become colorless and rote. Which is why I’m taking a road trip. I’ve just handed over RBRP to my critique partners and have some time before they’ll hand my novel back to me in shreds. In the meantime, I’ve already started brainstorming ideas for a middle grade fantasy novel. But it’s hard for me to be inspired by my couch. And, while I love Pinterest, photos just aren’t the same thing as being there myself. So I’m taking the next week and a half to let my brain play. I’m wearing my massive floppy hat (because nothing says playtime like my floppy hat). I’ve rented the first four Harry Potter books from the library (husband has never read them). I have a bag of yogurt covered pretzels and my Evernote app within reach (for when playtime inspires ideas). I plan to come back simmering with new ideas and thoughts that’ll help me pound out the first draft of the middle grade book. I’m also hoping to snag some great photos I can paint. In other words, I won’t be blogging during my road trip (though I do have 1 scheduled ahead) because I plan to take full advantage of my playtime. I could schedule more blog posts, but I’m currently wincing at the state of my apartment. (It quadruples as our normal people living/writing place/painting studio/husband’s wood workshop, and when the hubster’s been creating you can’t see the floor due to all the tools and curling wood shavings.) I’d rather leave with a clean apartment and a clean slate for those ideas to come! Have you let your brain have playtime lately? Why or why not? 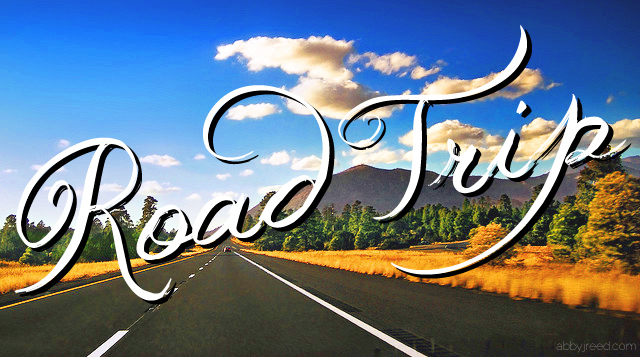 Enjoy the vacation (road trips are the best kind of adventures, and are sure to stir up a few new ideas)! next post: Are You Alone in the Universe?